Electro-Voice will launch the EKX series at NAMM 2015. The EKX series is the newest member of the Electro-Voice portable loudspeaker family and combines legendary EV sound quality and reliability with the latest technology. 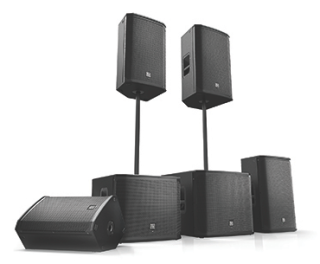 The series is a lightweight, compact package designed for a wide range of sound reinforcement scenarios, including musicians, DJs, and live/club/installed sound applications. The EKX series features eight models (four powered and four passive), including 12” and 15” two-way models and 15” and 18” subwoofers. EKX is positioned above the ZLX and ELX series and below the ETX series. Innovative, EV-exclusive features ensure EKX provides best-in-class performance and versatility, including EV-engineered speaker and amplifier components for superior sound quality and reliability, and on-board signal processing with user-friendly single-knob control and application presets for easy set-up. EV’s award-winning industrial design – incorporating robust wood enclosures, premium-quality hardware, and durable EVCoat finish – ensures that EKX speakers look as great as they sound. The EKX series will begin shipping in Spring 2015.